Useful foods for women and especially for females. People regularly spend a lot of money on expensive cosmetics in order to tackle problematic dry skin, acne, wrinkles and dryness. Many of us can bet on cheaper means, namely healthy foods. 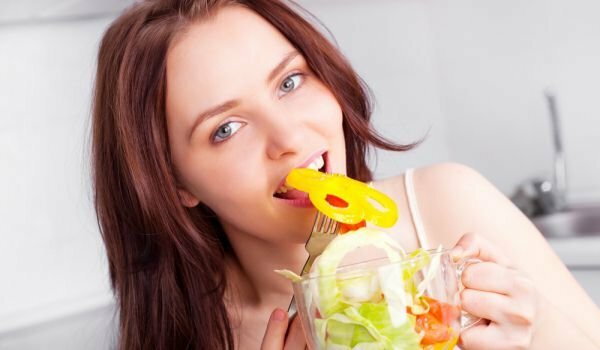 Useful foods for women, healthy nutrition for good and tight skin. Most of the healthy foods offer a wide range of options to combat problematic skin. We bring to your attention several products and foods that could help fight skin problems. Green tea – it is rich in antioxidants that reduce inflammation and protect the cell membrane. It has been shown to help with sunburn and excessive exposure to ultraviolet rays that could cause skin cancer. Green tea is also rich in polyphenols that eliminate the possibility of tumor disease. According to a study by scientists at the Georgia College of Medicine, polyphenols abound in green tea. They are also a spring of youth, as they regenerate skin cells that are already old and ineffective. A very important fact for green tea is that it is rich in vitamins such as vitamin C, D and K, as well as iron, zinc, calcium and magnesium. Take plenty of fluids and fruit juices, foods rich in vitamins and minerals. Salmon – it as well as other greasy fish are rich in healthy fatty acids, which are the key to reaching healthy skin. Essential fatty acids like omega-3 keep the cell membrane healthy. Consuming foods rich in fatty acids like omega-3 keep the skin supple and young. Salmon is rich in protein and vitamin B12. Blueberries – according to many studies, blueberries are the largest food source of antioxidants. Antioxidants in blueberries neutralize DNA problems and regenerate skin cells. When the cells are protected from aging and irritation, the skin looks young and healthy for a longer time. Blueberries are also a good source of fiber, magnesium and vitamins C and E. Carrots – carrots are an extremely rich source of vitamin A, which is very important to the skin and its health. They also contain fiber and vitamins K, C and B6. Water – drinking large amounts of water is very important. Experts advise to drink as much water as possible for healthier and younger skin. Water rejuvenates skin cells and helps them get rid of toxins. Green tea, blueberries, carrots, salmon and water are extremely useful for the skin – they keep it younger for a longer period of time. There are foods that harm the skin, such as sugar, white flour, fried foods rich in fat, and more. They can cause problems such as acne, oiling, etc. Treating the skin outside with expensive cosmetics, creams and lotions would not make as much as if the skin itself is healthy inside as a result of our rational and healthy eating. In this way our skin will be younger, more beautiful and healthy for a long time even without expensive cosmetics.